. 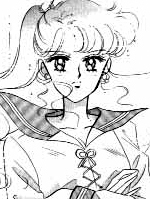 : Lunar Palace v.5 - Manga: Sailor Jupiter :. Lita's parents died a long time ago in a plane crash so she lives alone. Lita's favorite flower is a Camellia.